Lynn Theodose, yoga-extraordinaire, is now offering affordable, therapeutic yoga classes for everyone at the Virginia Tech Corporate Research Center (VTCRC). 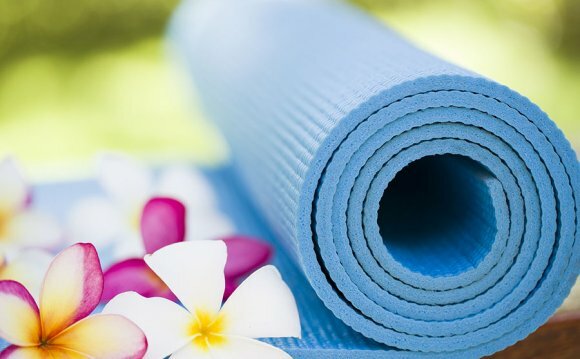 She welcomes participants of all skill levels to take a break from their stressful workdays and let off steam with the healing science of yoga. The program is specifically designed for the hardworking employees of the research park to help everybody feel healthier, happier and more relaxed. “Yoga has improved my life and health dramatically, and I feel like it is my mission to bring its healing magic to the masses. I hope to introduce yoga in a friendly and approachable way to people who may have never considered it. I know it works, and I am ready and eager to pass it on, ” Theodose said. A gentle warm-up leading into an invigorating standing sequence, followed by conscious relaxation. Start the day calm and energized! A little midday movement – stretch, strengthen, get the blood moving and the kinks out – plus simple, soothing breathing practices – all designed to ward off the afternoon slump! 5:00 - 6: 00 p.m.
Release the stress and strain of the day. Therapeutic poses, – mostly seated and reclined - relaxing breath work and a brief guided meditation. Ease into a peaceful evening and a great night’s sleep! You can pay cash or check for the classes. A drop-in session is $10 while monthly unlimited classes are $80. However, your first class is free! “I really encourage everyone to give yoga a try – even if you can't touch your toes, even if you're inflexible and uncoordinated. I create a safe space for my students to explore all aspects of yoga. And it's FUN!” Theodose said.